My husband is a fan of bitter Gourd and I try to make it in as many ways as possible, from slow frying to stuffing and everything in between. My favorite is a gravy recipe which is tangy, spicy and masks the bitterness. I love the Kaarakozhambu my mom makes and though I haven’t reached her level of perfection, I have done my best. In the usual recipe, coconut milk or ground poppy seeds are added for thickness. I added almonds for thickness, in an attempt to cut down the unwanted cholesterol and my tastebuds did not complain! Whenever I make bittergourd, I cut it up, add lots of salt and let it sit for about 30 minutes. After that, I rinse it with lots of water. This way, some of the bitterness is lost. Soak tamarind in a little water and extract the juice. Grind Onion, Tomato, Garlic and Almonds coarsely. 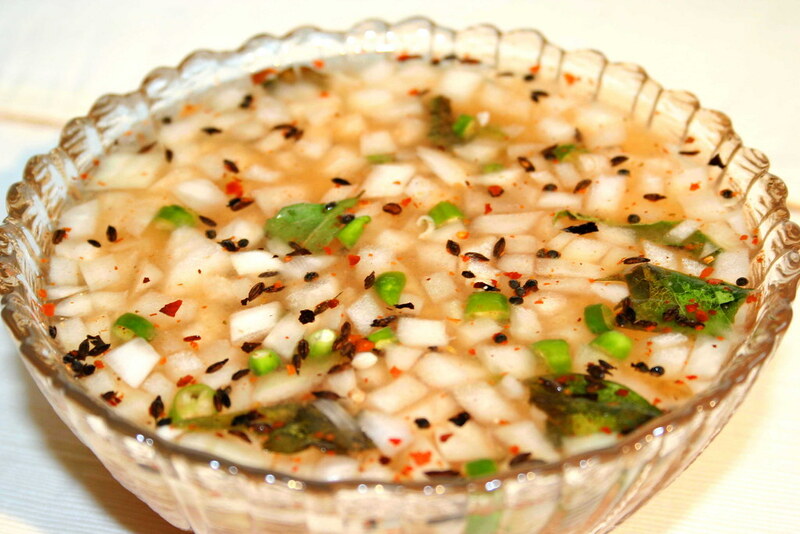 Heat oil in a saucepan and add mustard seeds, jeera and urad dal. After the mustard seeds splutter, add fenugreek seeds and curry leaves. Take care not to brown the fenugreek seeds. 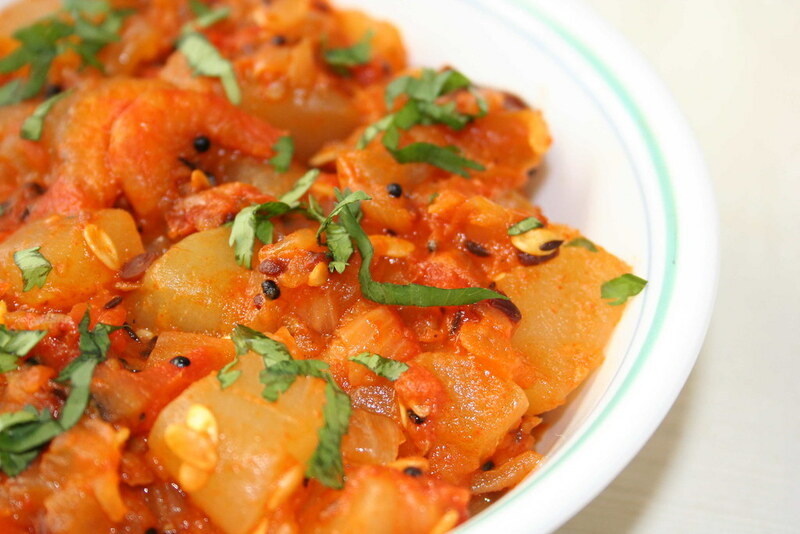 Add the ground onion – tomato mixture and cook till the raw smell disappears. Add the bitter gourd pieces, salt, turmeric, chilli powder and dhaniya powder. Cook till the bitter gourd is done. Add the tamarind extract, sugar and cook till the gravy reaches a thick consistency. Remove from heat and garnish with coriander. 1. Grind almonds to a fine paste with a little water. 2. Finely dice onion + tomato and crush the garlic. 3. After the seasoning, saute onion + tomato till the tomato breaks down. 4. Add bitter groud + garlic + Salt + Dhaniya Powder + Chilli Powder and saute for a couple of minutes more. 5. Add the almond paste, tamarind extract, sugar and enough water to cook the bitter gourd. 6. Simmer till the curry reaches gravy consistency. 7. Remove from heat and garnish with coriander. This is my entry to the Curry Mela hosted by Anthony of Anthony’s Kitchen. Oh, I forgot to name those green beauties I found. They are Amaranth leaves or MulaiKeerai or ThotaKoora. My mom makes MulaiKeerai in a different way, without using dal. I grew up to like it a lot, though it might be a little bland to some palates. 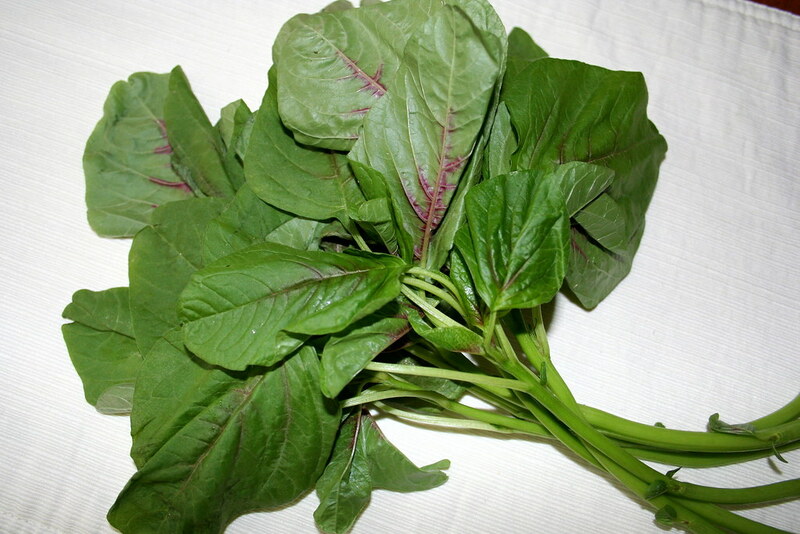 Chop Amaranth leaves and cook them in water, with a pinch of turmeric. Use a masher or a blender and blend till coarse. Add salt as per taste. Crush garlic flakes and break dry red chillies into small pieces. Heat oil and add mustard seeds, jeera, urad dal, red chillies and garlic flakes. After the mustard seeds splutter and the garlic flakes turn light brown, add it to the amaranth leaves and serve. This curry can be used with rice or rotis. Soak black-eyed beans for about 6 hours and pressure cook till very soft. Mash and keep aside. Chop tomatoes into little cubes, add 4 cups of water, a pinch of turmeric and cook till done. Roast all the ingredients one by one, except coconut under the For Powder section and grind to a fine powder. Add 3 tablespoons of the mashed beans to the cooked tomatoes and add the powder. Add salt to taste and cook for 5 more minutes. Heat oil and add mustard seeds and curry leaves. 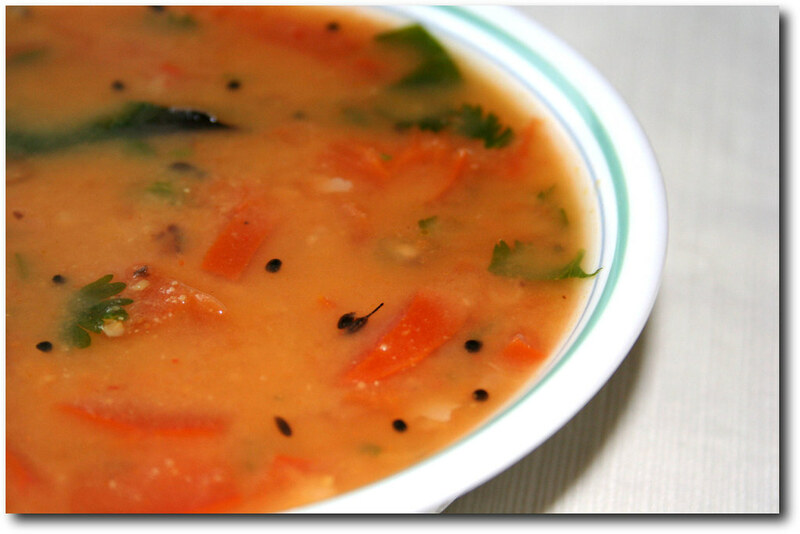 After they splutter, add it to the rasam and serve. I made this concotion yesterday for our dinner. 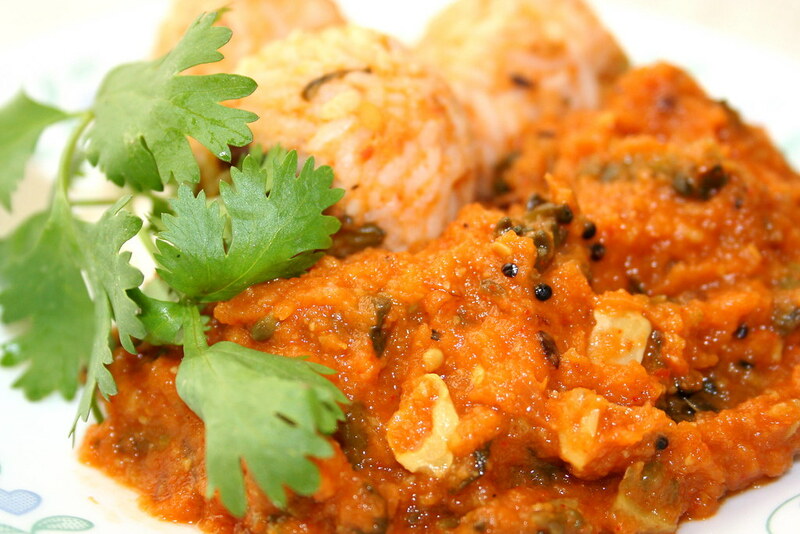 Most of the time, our dinner is very light, consisting of traditional Indian breakfast recipes. Yesterday, I tried a different recipe with wheat rawa other than the usual upma, which resembles bisibela bath to some extent. Here is the recipe. Heat oil in a pan and add mustard seeds. After they splutter, add jeera, urad dal, cinnamon, cloves and curry leaves. Add onions and ginger and fry till light brown. Add tomatoes next. Fry till light brown. Add the vegetables, a pinch of turmeric, chilli powder and fry again. Add 6 cups of water and salt and bring it to a boil. Add the wheat rawa and keep stirring to prevent lumps. Let it simmer till cooked. Add more water if the consistency is too thick for your taste. Add sambar powder and amchur powder, stir and cook for a minute more and remove from heat. Garnish with coriander leaves. Add amchur powder only if the tomatoes are not sour enough. Grind all the ingredients together with a little water. Season with mustard seeds and curry leaves. 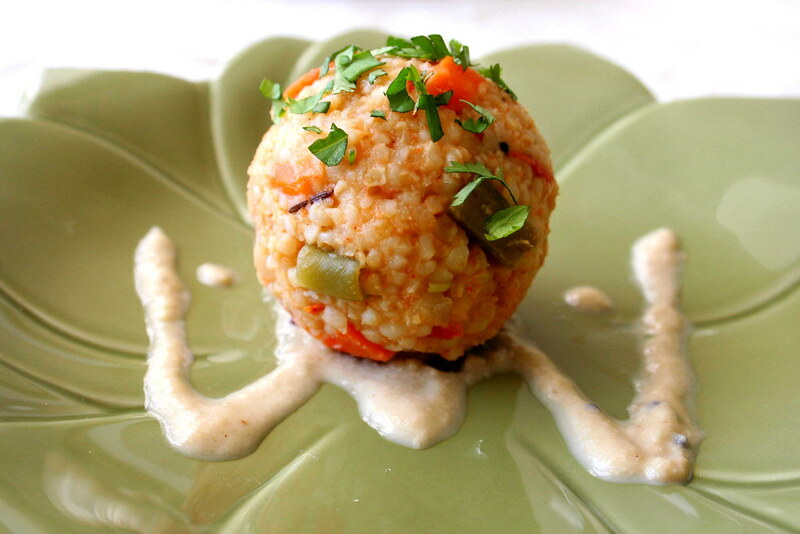 Serve the wheat rawa medley with the chutney. 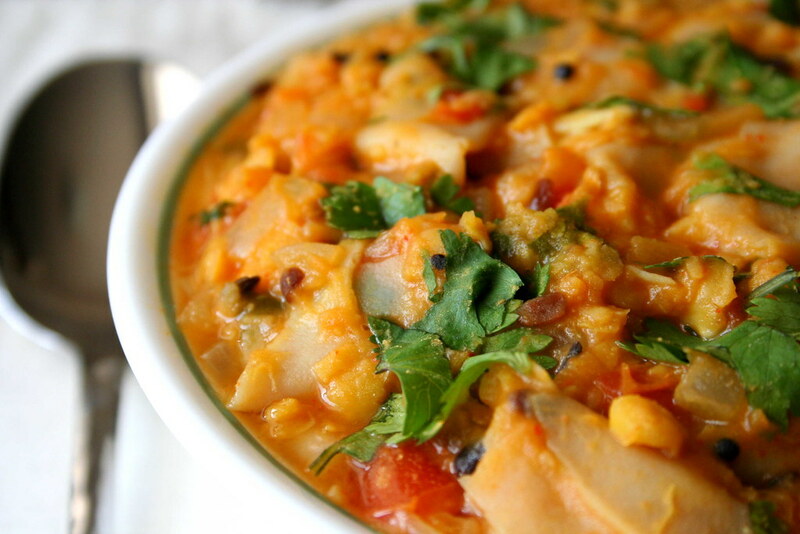 Yet another entry for IDFP…celebrating our country’s pride…This recipe reminds me of Madras. The quaint old city where ancient traditions rub shoulder with modern landscape. Madras has a magic of its own, with its beautiful beaches, numerous temples, conservative outlook, lively people, the much notorious ‘Madras Bashai’ and the omnipresent heat and humidity. Madras is very dear to me, has a special place in my heart and has been a part of me starting from my parents..
My dear aunt Kanchana (mom’s sister) lives in Madras and her home has been my holiday getaway, as far as my memory goes. The shopping sprees, walks down the beaches and the hilarious situations arising when four girls get together on a busy Ranganathan street evoke peels of laughter even now. Ah…good old Madras…This post isn’t enough to talk of its granduer. I will save it for another day. The recipe which I made today is Appala Kozhambu.. A unique blend of appalams (Urad dal wafers) and channa dal. To the recipe now..
Soak channa dal in water for some time and pressure cook till soft. Fry appalams and keep aside. Chop onion and tomato to small cubes. Crush garlic and ginger. Heat oil in a pan and add mustard seeds, urad dal, saunf and curry leaves. After the mustard seeds splutter, add onion, ginger and garlic. Fry till light brown. Add tomato, chilli powder, turmeric, dhaniya powder and salt. Fry till the tomato is almost cooked. Add the channa dal and cook on a medium heat till a semi liquid consistency is reached. Break each appalam into 3 or 4 pieces and add to the curry. Simmer on a low heat for 3 or 4 minutes. Remove from heat and garnish with coriander leaves. As I was pondering on a suitable entry for the Independence Day Food Parade, conducted by Indira of Mahanandi, my hubby mentioned a recipe from his hometown in coastal Andhra Pradesh – Dried Shrimp with Dosakaya or Dosakaya Endu Royilu Koora. Well, I made it and it was our Sunday lunch. We got dried shrimp from a Chinese food market and dosakaya (a kind of cucumber) from an Indian Store. 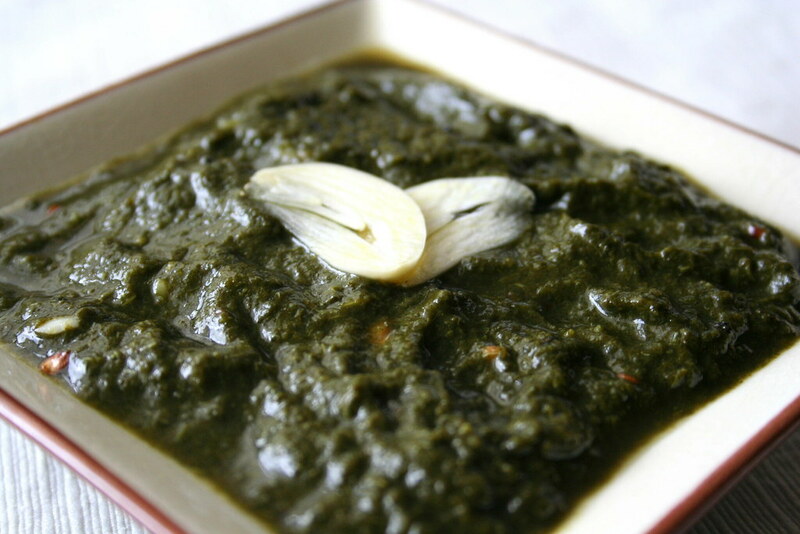 It’s a pretty simple recipe, without a lot of aromatic ingredients, except jeera and mustard seeds. The shrimp blends well with the dosakaya and makes a delightful curry. Soak dried shrimp in hot water for 30 minutes. This suppresses the odour to a very large extent. Dice the onion and tomato. Peel the dosakaya, remove the seeds if they are tough and cube. Heat oil in a pan and add mustard seeds. After they splutter, add jeera, urad dal and curry leaves and fry till light brown. Add onion and fry till light brown. Add tomato, salt and turmeric. Fry for some time. Add dried shrimp, dosakaya and chilli powder and fry for some time. Add about 3 cups of water and cook on medium heat till done. Remove from heat, garnish with coriander and serve. The amount of water will vary depending on the dosakaya. This is a traditional Andhra recipe from my hubby’s hometown. I first had a taste of this recipe after marriage and the tanginess of the tamarind, the heat of the chillies and the crispiness of the onions bowled me over. It’s very simple to prepare, it took me hardly 10 minutes to put it together. 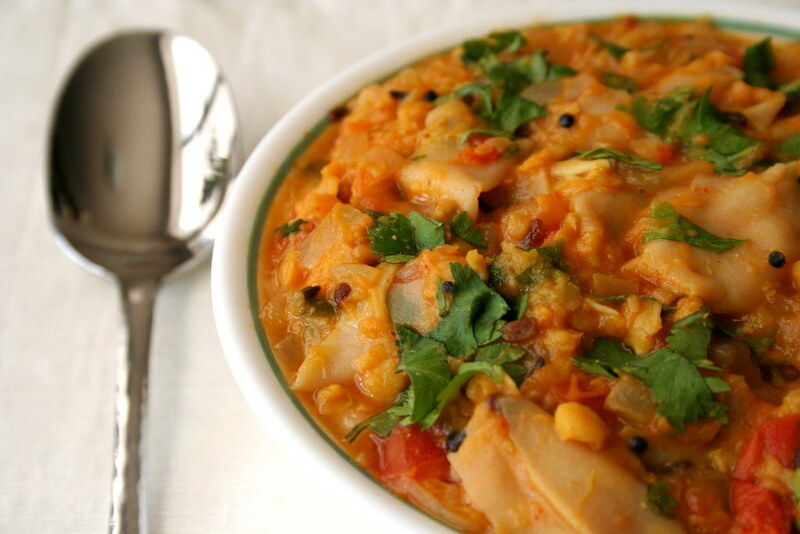 It can be had with rice or by itself as a soup or rasam. Fry dry red chillies in a little bit of oil and grind to a fine powder. Soak tamarind in 3 cups of water along with salt. Extract the juice and discard the pulp. Add the onions, green chillies and the ground chilli powder to the tamarind juice. Heat oil and add mustard seeds. After they splutter, add jeera and curry leaves. Pour this seasoning over the tamarind mixture. Add a pinch of jaggery. Let it stand for 30 minutes before serving.